भारत में Blogging बहुत तेजी से आगे बढ़ रहा है लेकिन सवाल यह है कि क्या भारतीय समाज में इसे कभी भी मुख्य career option के रूप में माना जाएगा. कुछ दिनों पहले मैं पासपोर्ट ऑफिस में लाइन में इंतज़ार कर रहा था और उसी दौरान rising and shining Indian future के बारे में मेरी बातचीत एक young BCA (Bachelor of Computer Applications) graduate से होने लगी। मुझे यह जानकर बहुत आश्चर्य हुआ कि उसे blogging, Internet marketing, या ऑनलाइन काम करके पैसे कमाने के तरीकों के बारे में कुछ भी नहीं पता था. सबसे बुरी बात यह है कि यह कोई ऐसा अकेला मामला नहीं है. भारत में अधिकांश लोग blogs या blogging की मौजूदगी से अनजान हैं. First of all thanks for starting ShoutMeHindi.Com . I’m a big fan of you. i want to start a Hindi blog on technology niche. 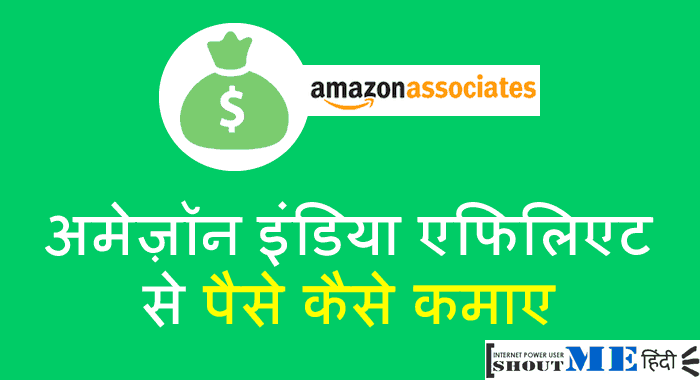 Please share your opinion about hindi tech niche. Hi harsh, your blog inspired me. I ready to make a blog . I’m really more and more happy and get inspired each and every moment whenever I read your blog. I want to become a blogger also but I have no experience that how to do blogging. Please make me satisfied about this via mail or other way. Nice ShoutMeHindi Blog. 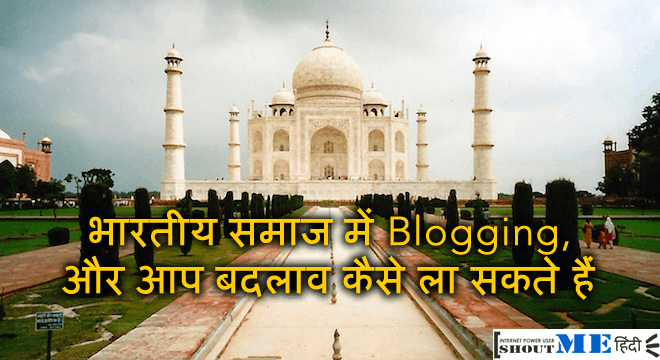 Please share more info about Hindi Blogging. I have small Tutorial Blog on Tech, Hack and Blogging Guide Niche. I earn $22.00 from my Blog. I am using Google Adsense, Infolinkss and Revenue Hits Publisher Program. Using Affiliate but not enough profits. Can you share more about Blogging Source Guide like How To Create Successfully Blogging In Hindi Language ? In India 80% People don’t know about Blogging, Internet Work and Digital Marketing and 20% People have blog but can’t make money. I am also thinking that i should also start a Blog in Hindi. I regularly read your ShoutMeLoud Blog. Now you bring ShoutMeHindi Blog. Very great ideas. Great Job. Your Blog is giving inspire and motivation to others. Share your more opinion about Hindi Blogging. Congrats! Harsh, for this new blog.I will be really helpful for those who are not comfortable with English. Congrats on the new blog. I don’t know how much traffic it will attract, but this is a nice beginning. Good job! hello hrsh sir mai manta hu ki blog un logo ke liye or bhi faydemnd ho skta hai jo apne area me profassional hai. 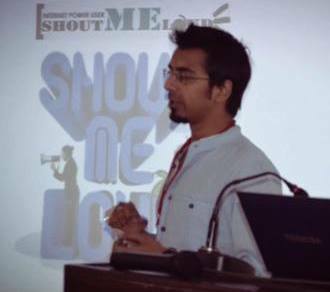 Well, I visited the Shoultmeloud.com after a long time and found that you started shoutmehindi which is highly appreciate able and given some ideas to others to start blogging in Hindi. While I was reading this post it make me smile while people ask about my profession. To be very honest I also replied them that I am SEO or I make website because some time it become difficult to explain them about SEO as well :). it was really enjoyable to read your blog. 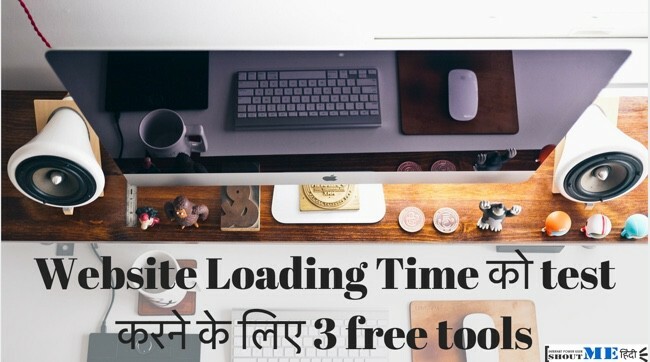 Hii Hindi language blog ke liye profitable niche koun sa h.
ak baat aesi he jo kaii mahino se dekhta aa raha hu ki kai log blogging suru karte he orr 4 ya 5 mahineme bandh kar dete he.new bloggers blogging ko achhy tarah se samze or success ho yahy mera dream he or mera dream pura hone ke liye muje aapki help chahy ye. bohat acha article hai sir meny aap sy bohat kuch seekha hai Thank-you sir k aap logon ki bohat achy sy Help krty hain. Hi Harsh, आप ने बहुत सारा इंडियन्स युवा को ऑनलाइन पैसा कैसे कमाया जाता है, बताया है. गुड जॉब. i am also one of them.